These little pizzas will forever remind me of slumber parties. Growing up, this was the standard dinner fare for all things involving a gaggle of giggling girls in their jammies (I wish jammies started with a “g”). You can make dozens at a time and everyone can pick their favorite toppings. It is awesome when feeding a crowd. I remember all of us piling into my mom’s kitchen, carefully creating our pizzas and then positioning them on baking sheets so we’d know which were ours. Heaven forbid you go thru all the work of making a perfect pie only to have the neighbor girl spending the night think it is hers. Or, if it’s just a lazy night for mom (or dad), these are perfect kiddo food. They get to pile their own ingredients on top and they love it! Sometimes, the easiest dinners are the best. Without needed to measure and fuss, I get to spend time with my kids as we do dinner together. 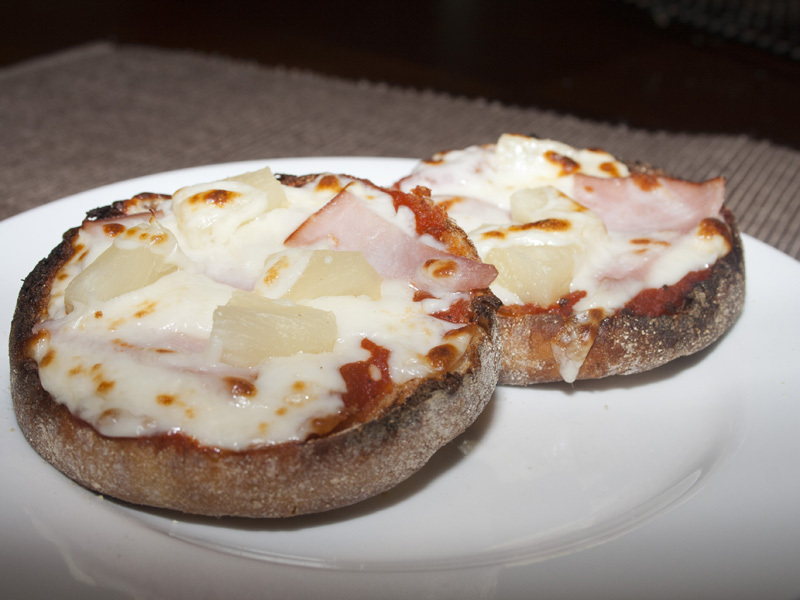 I don’t know if it is nostalgia or the perfect crusty crunch of these pizzas, but they are a three-bite-wonder as an adult. Absolute deliciousness. I always toast mine before topping and cooking them. 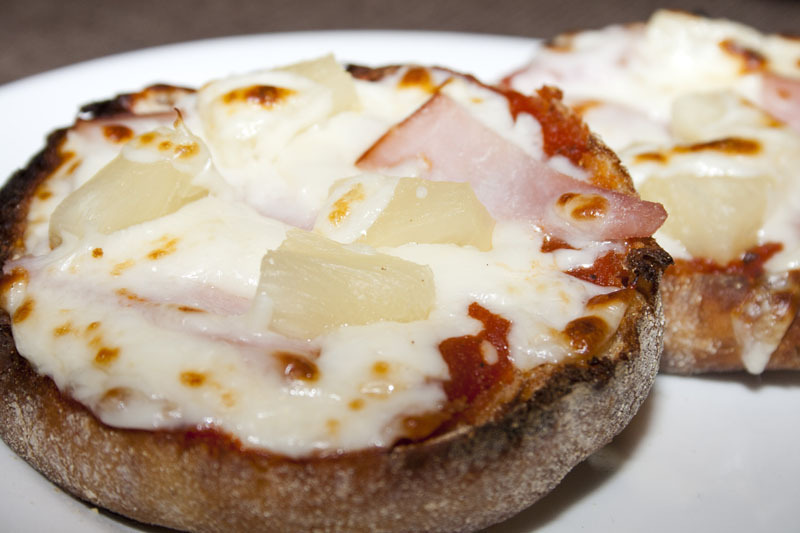 You can just throw all the toppings on and pop them in the oven if you want, but I find that the sauce makes the muffins a little mushy. The kids don’t care, but I do. I want a nice crisp crust on my pizzas, so they get a couple minutes under the broiler before coming out to get sauced and cheesed. Yuuuum. Canadian bacon, pineapple chunks, mushrooms, peppers, pepperoni, sausage etc. Set the oven to broil place the English muffin halves cut side up onto a baking sheet. Broil a few inches from the element until toasted. Remove from the oven & set to preheat at 375 degrees F (190 degrees C). 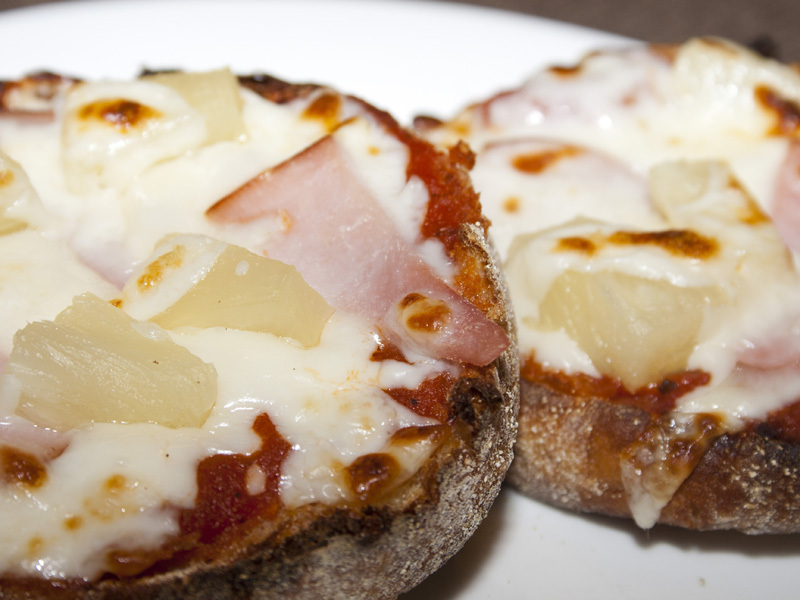 Spoon some of the pizza sauce onto each toasted muffin half. 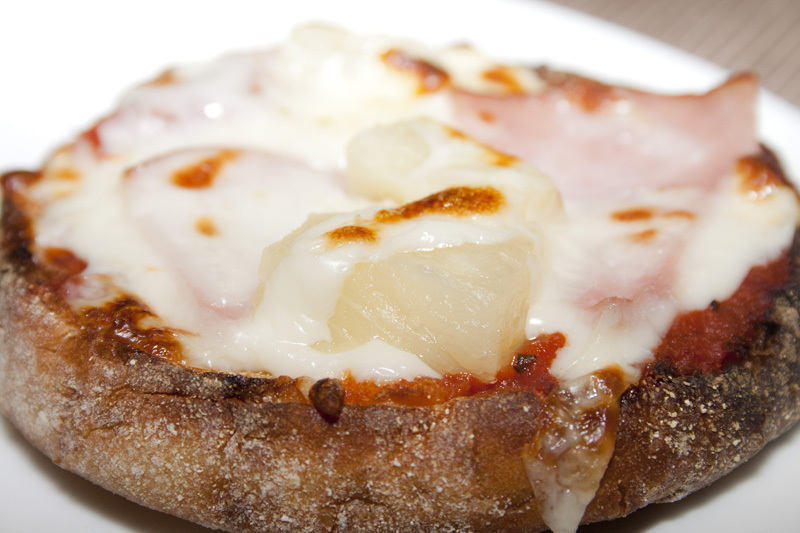 Top with mozzarella cheese and topping of your choice. Sprinkle with additional mozzarella if desired.